Socks, Hawaiian shirts and Chili's gift cards? 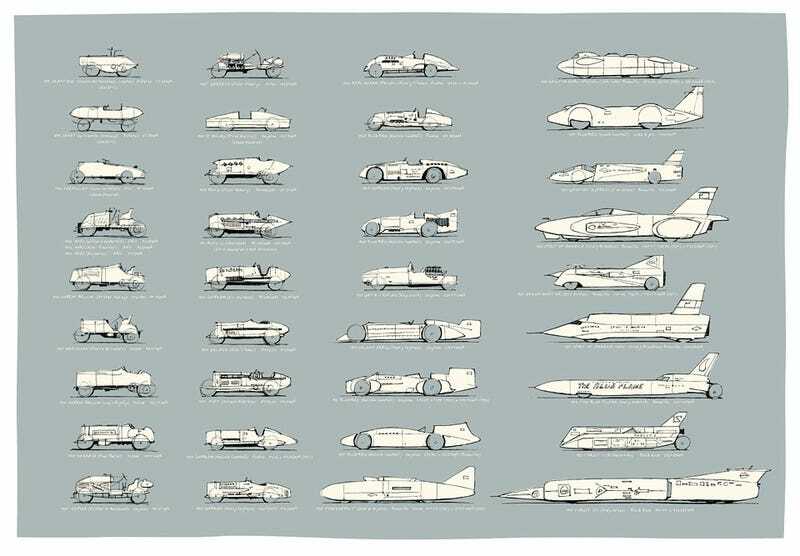 If your holiday haul left you wanting, consider this $76 print from Stefan Marjoram of all top land-speed record holders, a benefit for the Bloodhound SSC project. Inquire here.